After a tip off from dscarter1975 I picked up the German DVD release of this series cheaper than I should have, so thought I would post a little review of this episode (and/or series if I get time). The title above is the German episode title, but I believe the English title for this episode is called 'Bounty' - however, I feel the German translates into English as something far more applicable, something like 'He who lives twice, dies once more'. Another interesting point about this show is that I believe the US title was called 'Scandalous'. This is a Brian Clemens series with Sidney Hayers also involved. First of all, here are some grabs of Lewis Collins in this episode. Lewis Collins shows up in this right from the start in this, the very first episode playing a somewhat posh English insurance broker called Hugh Sinclair. When Sinclair finds out that a criminal called Zinder (who is believed to be dead) may have resurfaced, he employs the talents of Count Henry von Altenberg to find out more - the Count is played by Austrian actor Albert Fortell (left picture). Although, he is a Count, he doesn't seem to have a lot of cash to spend and does lots of honourable things for the local orphanage. In order to raise money for the upkeep of his estate and do good some deeds for the local orphanage, he seems to work part-time as a private eye. For me Albert Fortell is ok, but seems a bit of wimp to be playing a tough guy based on this one episode. Anyway, the Count accepts the job from Sinclair and sets off to find if Zinder is still alive. The person who published information about Zinder still being alive in a recent magazine sparking Sinclair's interest was none other than Lisa Prentice (Ursula Karven) who just happens to be the Count's ex-wife (pictured above far left and below far right). Before long, the Count has tracked down his ex-wife, and they set off looking for Zinder together on a Dempsey & Makepeace style case. Fair play, Ursula Karven is well fit in this and it is probably worth giving this a spin just for her I would say! I can only really describe this episode as a bit of a curate's egg - good in parts and rubbish in others. The good parts: there are some very good action sequences, explosions, great car chase, a James Bond style ski chase, a decent kill count and a story which is very plausible, also of course Lewis Collins in it - however, he's a long way from being Bodie and even speaks a bit of German at one point. There is a nice little twist at the end and the action sequences do keep you watching. However, the bad parts: as almost all the characters except Lewis Collins are obviously first langauge German actors and actresses. This is filmed in English but so many German actors all speaking with one another in English - it just seems a bit stilted, awkward and certain words are a bit over exaggerated in parts I feel - ok it's not THAT bad to listen to, but doesn't come across as particularly "natural" - just my personal opinion I'm afraid. Based on the first episode you also don't really know who these folks are and as Barry Morse said about 'The Adventurer' - you need a bit of background on the characters and this really isn't coming very fast from the story - yes, it's entertaining but you don't immediately identify with the people in it. The main negative though is the 80s cheese dial cranked up to the absolute maximum - incidental synth music everywhere and even Harold Faltermeyer does theme tune. Still, that does also mean a lot of pretty ladies involved which isn't always such a bad thing. There is also some clear after dubbing that has taken place. There are few lines of Lewis that clearly not him and someone pretending to sound like him - this is instantly recognisable for any Professionals fan unfortunately. Overall, it's not that bad, but it's not exceptional either - I would only give this an above average in terms of score - solely because of the story, pretty ladies, decent action and Lewis Collins. Watching this first one, it is sort of a mix of Moonlighting, Hart to Hart and Dempsey & Makepeace mixed up, all set in Munich, where everyone is speaking English. If you put all those things together, it probably isn't the best formula for a TV show and shouldn't really work, but nevertheless I did stay entertained enough to make it through to the end. 7/10 - A bit too much 80s cheese factor to make a hit, but good story, good action helped along by Lewis Collins with a posh accent and the delightful Ursula Karven. Ursula Karven really was (and is ursula-karven.de/ ) quite a joy to watch, but I can't remember seeing this in Germany. The second one (no Lewis Collins in this) is a much better episode I think. While holidaying in Italy, the Count's mum has invited his ex-wife along Lisa along. His reputation preceding him, the Chief of Police asks the Count to accompany a super grass out of the city. The super grass has been badly injured and the chief knows he can trust nobody until his man is safe and ready to talk. 8/10 - dodgy English accents everywhere but a fast moving action feast in Italian sunshine with double cross and decent kill count. I reckon all lovers of action TV should give this a punt (as I look towards my DVD Decrypter software). I love how 80s the soundtrack is and it's always good to see Lewis Collins. I've always found him immensely watchable in pretty much everything he's been in and while it's been discussed a lot before, it has always been a mystery to me how little he appeared in after The Professionals. It was probably wishful thinking but I somehow assumed he appeared in every ep of this series but in actual fact it seems as though he only appeared in one ep. I'm guessing that Brian Clemens was involved in casting Lewis as he wrote the series - it just always seems a bit strange to me that LC was almost scratching around for acting work in the late 1980s when he was still relatively young and capable of playing leading roles. I'd be very interested to see this but I recall the DVDs being about £40 when I last looked and I'm probably a bit too tight to fork out that much for a fairly obscure series. Totally agree about Ursula Karven, a quick Google (in the interests of research!) shows she still looks pretty foxy now at nearly 52! I know I'm getting old, it doesn't seem that long ago I was amazed if a girl over 30 was attractive! A great review as always jno which has got me interested in this series. Ursula slightly reminds me of Peta Wilson (the La Femme Nikita series). I've just seen the first episode of this and agree with jno's review. It's always good to see Lewis Collins and it is interesting to note how he is very different to Bodie in this. Although it's often thought he failed to go on to greater things after The Professionals due to being typecast, this proves he is easily able to play completely different roles. If anything, I thought he may have overdone it a bit with the posh accent - I thought he almost sounded as though he was taking the mick of the English upper class accent at times! I also instantly noticed when he was being voiced by someone else! Overall though, he did a good job of distancing himself from Bodie and it was amusing how the gorgeous Ursula mocked his accent. He is a long way from the womanising Bodie here and doesn't appear to eye up Ursula at all, which I'm sure must have been very difficult! You can almost imagine him slipping into "Bodie chatting up" mode with her off camera but that's probably because I associate LC so much with Bodie that I always imagined he behaved a fair bit like Bodie in his 30s and early 40s in real life! I agree with jno about Albert Fortell not really coming across as a tough guy too. It is somewhat ironic that an actor known for playing a tough guy isn't the tough guy in this when the supposed tough guy doesn't seem a tough guy at all. I also found it a bit surprising that Ursula was his ex. Going back to Blaues Blut though, it did seem a bit stilted and the complete lack of background information about the characters is a bit strange. Most new series seem to spend a fair bit of the first episode explaining some sort of background stories to set the scene and explain the actions and attitudes of the main characters. The very 80s soundtrack is almost too 80s if such a thing is possible! All in all though, I think this is definitely worth a watch if you are an 80s TV/action TV or Lewis Collins fan, or as in my case, a fan of all three! I'm looking forward to seeing the rest of the series, it's just a shame that LC isn't in anymore. Given that LC didn't really make that many TV appearances after the Pros, anything else he is in is something of a novelty. 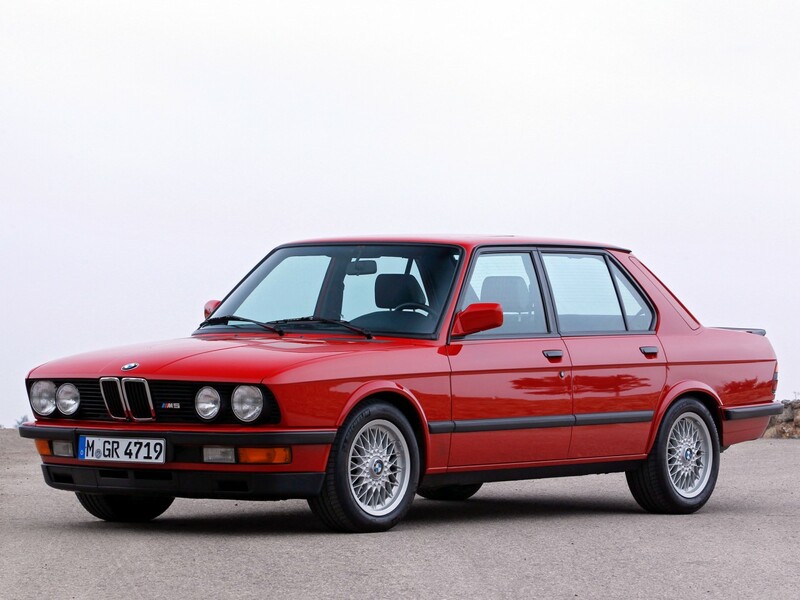 Ah yes, BMW E28 M5....a legend. Would love to own an original one....but they are few, far between and expensive. Did I miss Lewis in that youtube-clip? I am now up to episode 6 of 'Blaues Blut' and so far it has a just above average rating from me. Sadly, world class action TV this is not and the label of 'Euro bland' I read elsewhere about the show certainly fits the show I feel. The shoulder pads and classy 80s fashions are turned up into overdrive in this series but nevertheless, it's watchable. I think the problem with this show is that it is not sure what market it is intended for. Granted, the cast are all speaking English but it is a bit of a mishmash between American and British but I get the feeling this was intended for the German market. Twice a German actress has said 'Philistine' with final syllable rhyming with 'been' instead of 'wine'. Meanwhile the lead Albert Fornell has a mixture of British and American and his hybrid English, as a German character working in France (for example) and it's all a little confused. In episode 4: 'Das Mädchen aus dem Meer' (The Girl At Sea) a girl is washed up on a boat out at sea without any memory and Henry helps her piece her journey back together, a drugs related story. In episode 5 'Dunkle Pfade' (Dark Paths) an English girl seems to recall killing a man in a remote Italian barn despite the police saying it was all an accident. It's a major cover up and Henry (who just happens to be in the same village at the same time) helps out. In episode 6 'Schatten der Vergangenheit' (Shadows of the Past) an American woman whose husband was killed in Vietnam is spotted by her 15 years later at a concert in Paris. Henry (again there by pure chance with his mother) helps out. Again, plenty of plot twists, conspiracy and killing going on. Episode 6 is a particularly interesting one as who's this in a cameo role as the concert hall janitor? 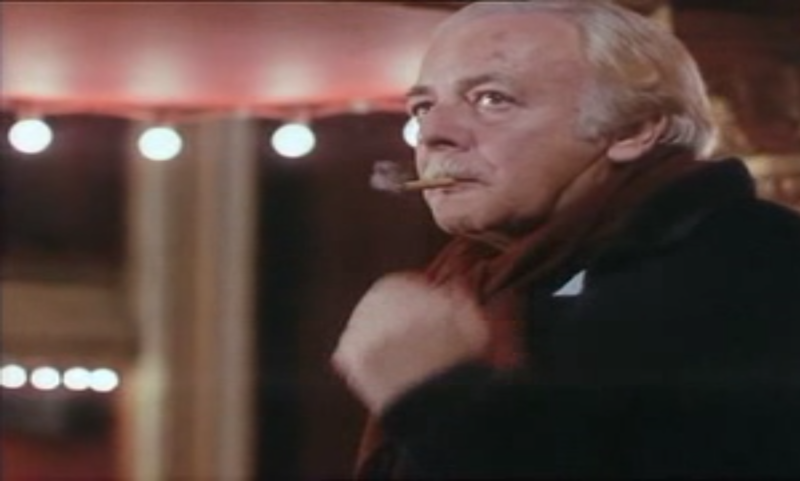 No, not Hong Kong Phooey, not Henry the janitor but a certain Brian Clemens himself. Not bad this one. 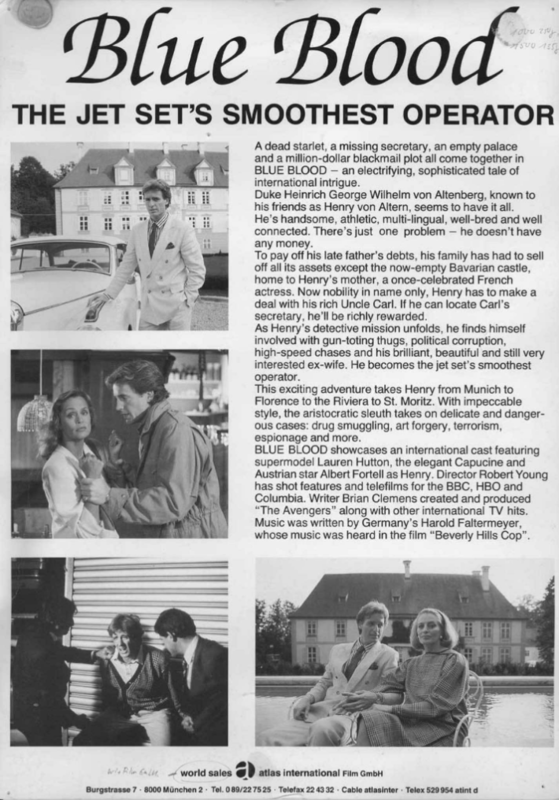 Albert Fortell & Barbara Wussow, both of whom star alongside Lewis Collins in episode 1 of 'Blaues Blut' are asked (in German) about working with him very briefly. Subs courtesy of yours truly .... enjoy! A DVD extra on this set (which the clip above is from) is a 1 hour 12 minute interview with Albert Fortell (are you listening Network? ), albeit in Austrian German with no English subtitles. From what I could ascertain based on what he was saying, it was the initial 1988 'pilot' episode that was entitled 'Scandalous' - an extra long movie length feature. This is included on the DVD in its original movie form (1 hour 34 minutes long) with English credits. The German version of this pilot is split into two single episodes (no English soundtrack available for these two separate episodes). It is still unclear to me, even watching the interview, who the intended market for this show was, with Fortell regularly stating it is 'an international series'. He does mention one interesting story in the interview though. Apparently, some of the French actors were struggling with speaking English when filming the pilot. He states that the series was redubbed in Los Angeles (he was there) and that it was particularly difficult to redub poor French speakers of English. He says they slurred their words so much, it was super hard to produce an authentic English voice of somebody slurring their words and thus they had a lot of difficulty/fun trying to redub on top of French slur. Having watched the full length version of the pilot myself it is pretty obvious there is dubbing going on, embarrassingly so in parts - especially for a 1988 production! Fortell goes on to mention where as it is relatively straightforward to provide a foreign language over the top of what someone else is saying e.g. dubbing English into a foreign language - he said dubbing good English over the top of bad English is extremely difficult to do by comparison. When watching one scene in the pilot, I noticed there was music playing when two people were having a conversation. It is so poorly dubbed that when person A speaks, the music is there, but when person B speaks there is silence. Nevertheless, Albert Fortell comes across as a pretty decent sort of fella off screen and has a lot of respect for Brian Clemens and 'The Avengers'. Sidney Hayers also stars in the pilot episode 'Scandalous', a brief appearance at the start in an interview. 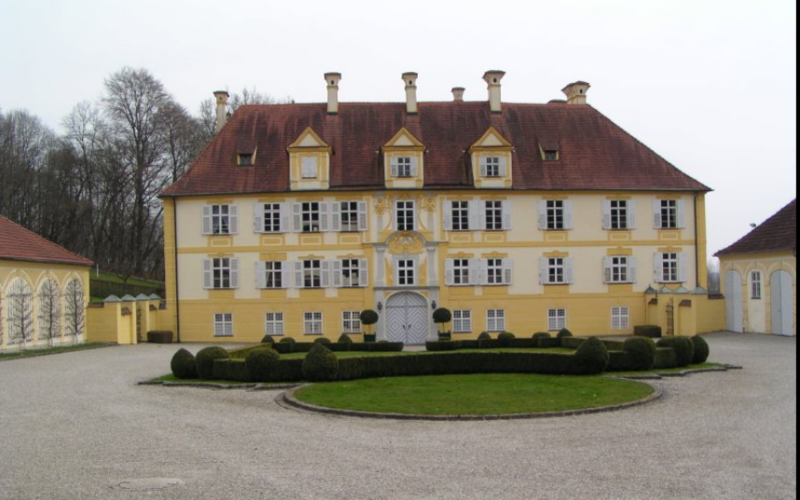 Location for this one, Henry von Alternberg lives in 'Schloss Frauenbühl' in Winhöring in Bayern, not far from the German/Austrian border (Salzburg). I had never heard of 'Blue Blood'. Nice find jno. Lewis Collins made some 'interesting' role choices in his career. He was in Jack the Ripper' the same year as this show. That is still very watchable these days.